Anand Narasimhan is the Shell Professor of Global Leadership and Dean of Faculty and Research at IMD. Anand researches institutional change, organization design, social networks, and emotion help in organizations appears in publications such as Academy of Management Journal, Annual Review of Sociology, Organization Science, Organizational Dynamics, and Personnel Psychology. He has served on the editorial boards of Organization Studies and Human Relations, and has co-edited a special issue of the Journal of Management Studies. Anand was named "Reviewer of the Year" by the journal Human Relations in 2004. 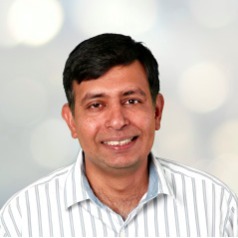 Anand is the co-author of “Quest: Leading Transformation Journeys” a book summarizing the IMD faculty's research on corporate transformations; the book won the Axiom gold medal in International Business (2015). Anand’s work (along with co-authors Sarah Harvey and Randall Peterson) on cross-organizational teams was named best article by Small Group Research (2015). Anand's case "Restoring the British Museum" (co-authored with Jean-Louis Barsoux) was honored with the Public Sector Innovation award by the European Foundation for Management Development (2013). Anand is a joint recipient of the Teaching Innovation Award at London Business School (2001) and the Dean's Commendation for Teaching at the Owen Graduate School of Management (2002) and at the Imperial College Business School (2007). Anand has served on the faculty of the London Business School and the Imperial College Business School (London, UK), and has had visiting appointments at the Indian School of Business (Hyderabad, India) and Vanderbilt University's Owen Graduate School of Management (Nashville, USA).